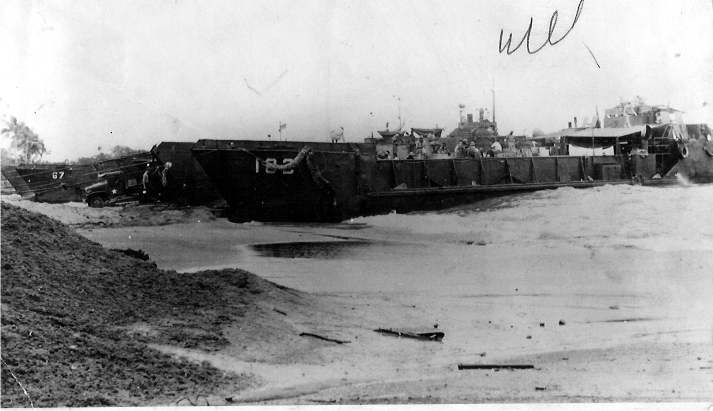 Laid down in September 1942, at Quincy Barge Builders, Quincy, IL. 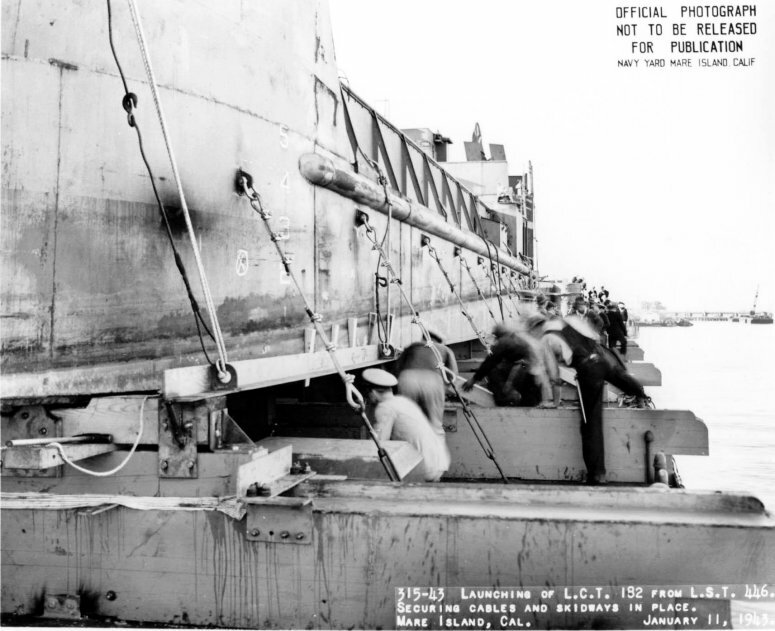 66k LCT(5)-182 being launching from USS LST-446 at Mare Island, 12 January 1943. 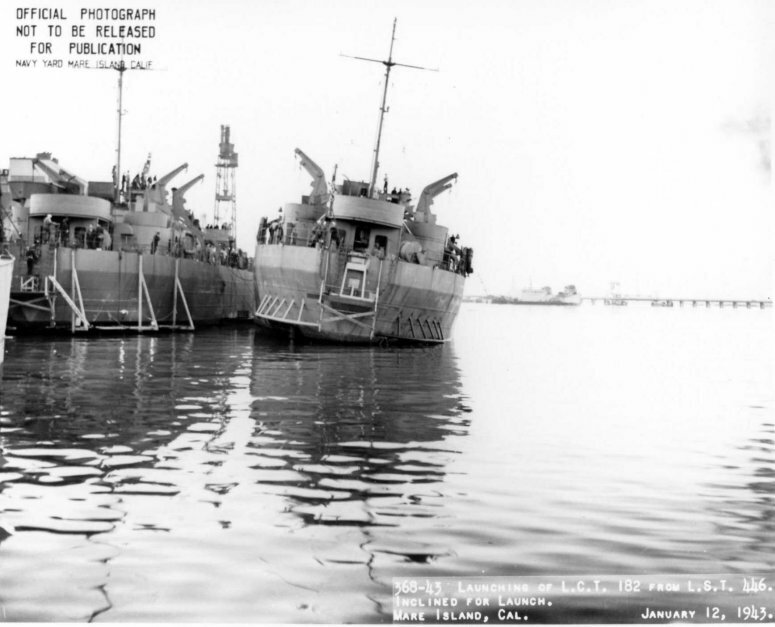 USS LST-447 is moored inboard of LST-446.